Band Diego of San Diego offers Band or Dj music party packages at just the right band size for your party location. Band Diego can have just the right volume control for your hotel party, restaurant, or home party. Or a Mix of All of these Drum Options! Band Diego offers electric bands, amplified acoustic, unplugged acoustic bands. Male and Female singers, strong harmonies. Perfect choice to please your guests with timeless 50's, 60's, 70's popular wholesome oldies for community parties, home birthdays, summer music patio entertainment, and friendly dance music variety entertainment! Popular hits to please all ages with wide variety to include California Summer Music, Birthday Music, Ballroom Dance, Sock Hop selection, Senior Favorites, Luau Party, Oldies Rock, Old Style Country, Fiesta Music. 1) Band Diego even has options for some songs to be sang in Spanish! (Goes great with Mexican Food). 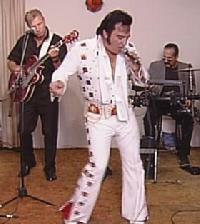 7) Country Music BBQ, Luau Theme, 1950's Theme, 1960's Theme, Latin Music and English Music Theme, Beach Party California theme. Band with Dinner DJ $550-$1850. 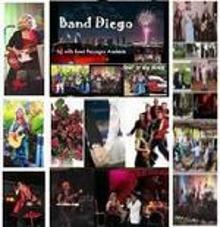 Band Diego of San Diego offers live Band music entertainment for your business, home party, festival showcase, community celebration, birthday, wedding, anniversary, family reunion, Senior Dance, and children parties! Live Band or Background Dinner Music Non-chatty DJ. Small Performance area? No Problem. Excellent Volume control - Backing drum track option for hotels, home parties, communities, restaurants. No electricity? No problem. There is even a battery powered PA option for marathons, festivals, rural or beach weddings, parks.